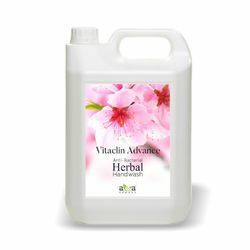 Herbal Handwash which is completely safe and natural. - Obstruction of respiratory tract infections. Coxsackie B viruses and antifungal activities against several human fungi have been established2. We are authorized distributor of Old Tree Brand. our hand wash is made from various herbals like aloe vera , neem , rose and other. our hand wash remove germs and dryness from your hands. 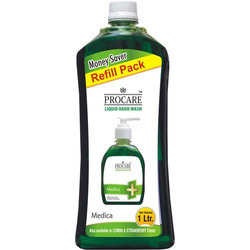 hand wash available in can and also in bottle with dispenser. With extensive knowhow in this domain, we are indulged in providing a supreme quality gamut of Herbal Hand Wash.